When looking for new beauty products I always have to think about how they’re going to react with my skin. Unfortunately I suffer from very sensitive and irritable skin, particularly on my face, so I usually stick to the brands I know and I trust. 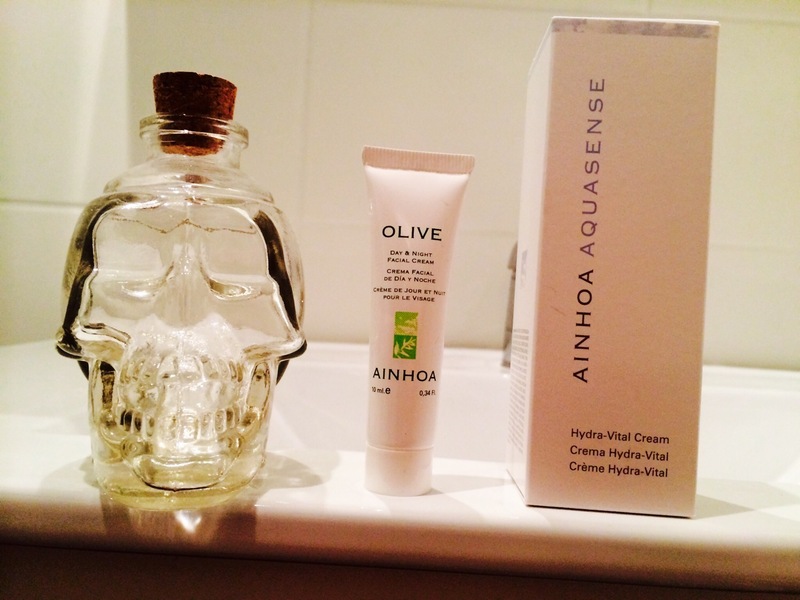 I’m also the lucky recipient of an autoimmune disorder that also affects my skin, so I’ve goWhen Ainhoa Cosmetics approached me to trial some of their products I was very keen to see what all the fuss was about, because from what I’d heard about the international beauty experts, they know their stuff. The Aquasense Hydra-Vital Cream is the perfect day or night face gel. The cream itself is very light, and almost opaque so you know at first glance that your skin will not feel clogged up or oily after application. I thought the moisturiser I currently used was light, but I can no longer compare as the Hydra-Vital cream is almost like a serum, and smells amazingly fresh and almost like water (if you catch my drift). I’ve come across many a moisturiser that gives my skin a greasy look and feel after application, but this product is the opposite. The gel sinks into your skin almost immediately, leaving a dewy, fresh look. And you only need the smallest dab, as it tends to go a long way. Being winter my skin has been quite dry, particularly in the “t-zone”, but Ainhoa products help rejuvenate the skin and rehydrate any problem areas. 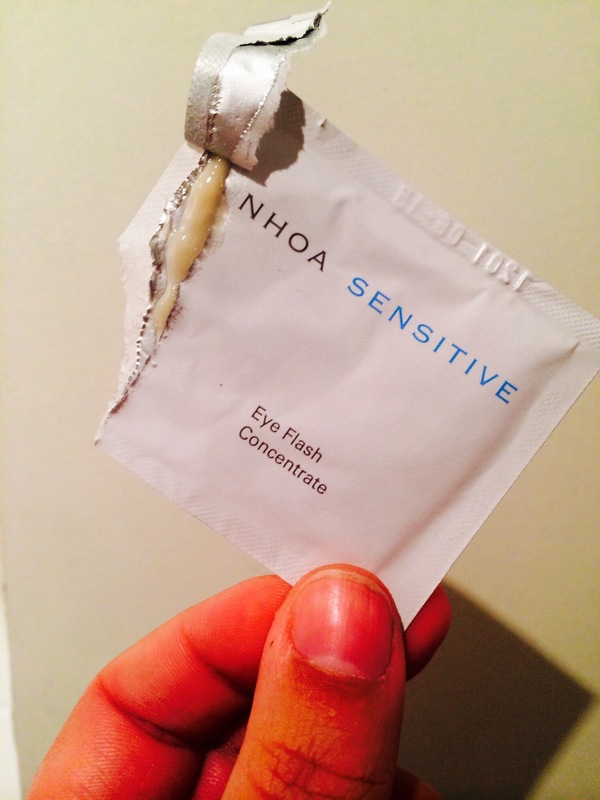 I also sampled the Eye Flash Concentrate. The cream is said to prevent premature ageing and premature formation of wrinkles. While I’m still in my twenties, the small lines around my eyes and on my forehead are telling me I’m not getting any younger, so it is best to get onto those while they’re still new! I’ve been using the products for over two weeks now, and while it did take some time for my cheeky skin to adjust, I’m really noticing how much smoother and hydrated it feels. I’ve been inspired to continue my new skin rejuvenation beauty regime and I’m sure I’ll thank myself in the future. What is your top skin trick? Ainhoa products provided for my consideration, but all views are my own. Perhaps I need a top skin trick,,,hahahaha. I can help you, although your skin is pretty amazing T!